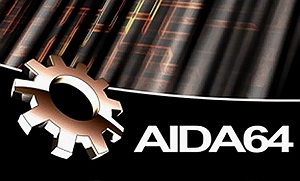 AIDA64 Extreme Edition is a system diagnostic tool. Successor to AIDA32 and Everest Ultimate, AIDA64 is compatible with all versions of Microsoft Windows, from Windows 95 to Windows 7. In its panels, AIDA64 displays information about all the hardware devices, installed software and component performance. The reports - up to 50 pages! - Can be customized and exported easily. Very useful are reporting functions, AIDA64 is able to display data from the temperature sensors and voltage in the taskbar and use the OSD for announcements (TV style). And for overclocking enthusiasts, AIDA64 has specific functions. AIDA64 contains information on more than 120,000 devices, and supports 150 different sensors. It's impressive legacy of more than a decade of existence.